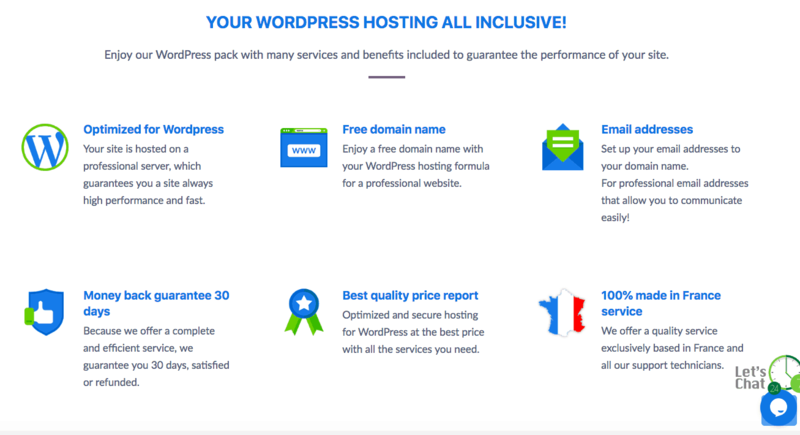 Hébergement WordPress Review 2019: Is Hébergement WordPress a Good Hosting? Hébergement WordPress has been providing WordPress specific hosting with SSD and a 99.9% uptime guarantee since 1999. You won’t get English support, however, the features are excellent. Hébergement WordPress is a French based business specializing, as the name suggests, in WordPress hosting since 1999. It’s part of a larger company, Ligne Web Services (LWS), which has more than 15 years experience in the hosting industry. This company is proud to be 100% French and as such the website and support are only provided in French. The WordPress package includes automatic installation, optimization, security, and updates, which means you don’t have to worry about making sure your theme is up-to-date or about any of the day-to-day management aspects of a WordPress site. As you’d expect, the plan comes packed with WordPress optimization features and tools. There’s automatic installation for WordPress, integration with WooCommerce, pre-installed WordPress plugins, and a free pre-installation of Divi themes. It honestly is nearly everything you need to get started with your WordPress website, plus ongoing maintenance and management. Considering it’s a WordPress plan, I was pleasantly surprised to see support for plenty of advanced level features including PHP version 5.2 through 7, phpMyAdmin, MySQL databases, and FTP accounts. There’s even SSH access and Cron jobs to ensure your website is running optimally. Finally, to further sweeten the deal, a Cloudflare CDN is included for free. It’s good to see SSD storage, which means disk read/write speeds up to ten times faster than traditional HDD, and a choice of LWS Panel or cPanel control panels. French customers or people with a French customer base may be interested to know that the hosting is 100% French, with data centers located in France, as well. All of the servers are owned and operated by LWS and hosted in Tier IV data centers, which means you should expect less than 26 minutes of downtime per year, with an industry standard uptime guarantee of 99.9%. Considering the level of resources and value added features, the prices are excellent. You can purchase the plans in three, six, and twelve month increments, with a considerable discount for purchasing one year upfront. There’s a generous 30-day money-back guarantee, so you can get started with minimal risk. Once you’ve paid, you’ll be live and ready to go within one hour. A nice added extra is a voucher for Google AdWords and Bing ad spend. 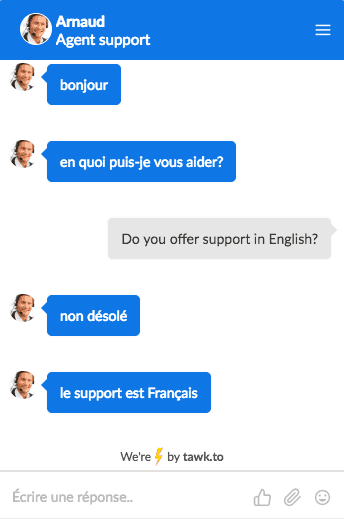 Customer service is available by phone (French and international number), an online contact form, and live chat. I did try to chat with the team at midday on a Friday, and while the operator picked up quickly and was helpful, they would not assist me in English. Of course, not an issue for French people, however, potentially a deal breaker for overseas customers. Hébergement WordPress has been providing French-based hosting with load balanced, SSD servers since 1999. Don’t expect English speaking support, but apart from that the plans come with comprehensive WordPress and advanced level features, at a great price. Wondering how Hébergement WordPress stacks up against other Web Hosting companies? Enter any other Web Hosting company and we will give you a side-by-side comparison.